I don’t usually preach on this subject, but I read an article this morning that really made me reflect on breakfast and being healthy. Special K cereal and orange juice. Sure, I mix it up with yogurt or string cheese on the side now and again, but that is pretty much what I eat every morning. Why do I do this? 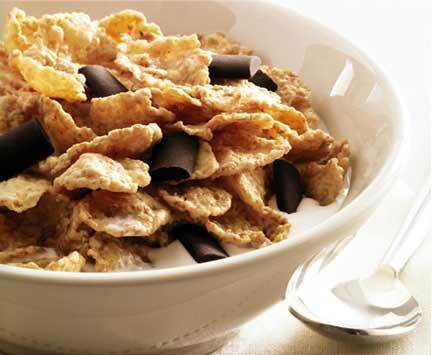 To be honest, I just love cereal, and if I miss breakfast, I panic. But wait! They then point out that the most unhealthy breakfast is actually going without breakfast! Ok, we’ve heard this millions of times, but who really cares right? Just how important is breakfast? Unbelievably, hence I had to share this uncontrollably cliche topic. As I tweeted earlier, this article concludes that you are 450% more likely to become obese if you skip breakfast regularly. That’s a lot of percent. Not to mention you also run the risk of cancer and diabetes, as well as just being unpleasant every day as a result of not having energy or a properly running metabolism. Not often do I get to reflect on my own lifestyle and say, “Whew. I was already doing something correctly!” I’ll go back to being painfully wrong about my lifestyle choices now. Next Next post: What is the Point of Diversity? You are absolutely welcome, but I have to give the credit to Lisa Collier Cool for her great article on Yahoo Health!